Brandon J. Iskander is the Riverside associate of Shulman Hodges & Bastian LLP, working in its bankruptcy and litigation departments. Now concentrating most of his practice on trustee and creditor representation, Mr. Iskander utilizes his broad experience in the bankruptcy field, having worked on many cases either as consumer debtor or creditor counsel. Mr. Iskander graduated with a B.A. in economics from the University of California, Irvine in 2010. While at UCI, Mr. Iskander volunteered his time coordinating teacher seminars for the Center for Civic Education. Four years later, Mr. Iskander graduated from the University of California, Irvine School of Law, a member of its third-ever class. Mr. Iskander completed nearly fifty hours of pro bono legal work in law school with organizations such as Orange County Stand Down, Orange County Human Trafficking Task Force, and the Legal Aid Society of Orange County Foreclosure Mitigation Unit. Mr. Iskander was also one of Congresswoman Katie Porter's founding legal assistants at the California Monitor Program, helping to enforce the National Mortgage Settlement of 2012. Mr. Iskander served two years on the UC Irvine Law Review as an articles editor, lead article editor, and research editor. 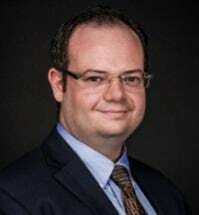 Also while in law school, Mr. Iskander externed two semesters for the Honorable Catherine E. Bauer (U.S. Bankruptcy Court, Central District of California). After graduating and passing the California Bar Exam in 2014, Mr. Iskander clerked for the Honorable Robert A. Gordon (U.S. Bankruptcy Court, District of Maryland). Returning to California in late 2015, Mr. Iskander moved to Riverside and began a solo creditor practice. He also volunteered time for pro se debtors at Riverside Legal Aid. Mr. Iskander joined Shulman Hodges & Bastian LLP in January 2017.